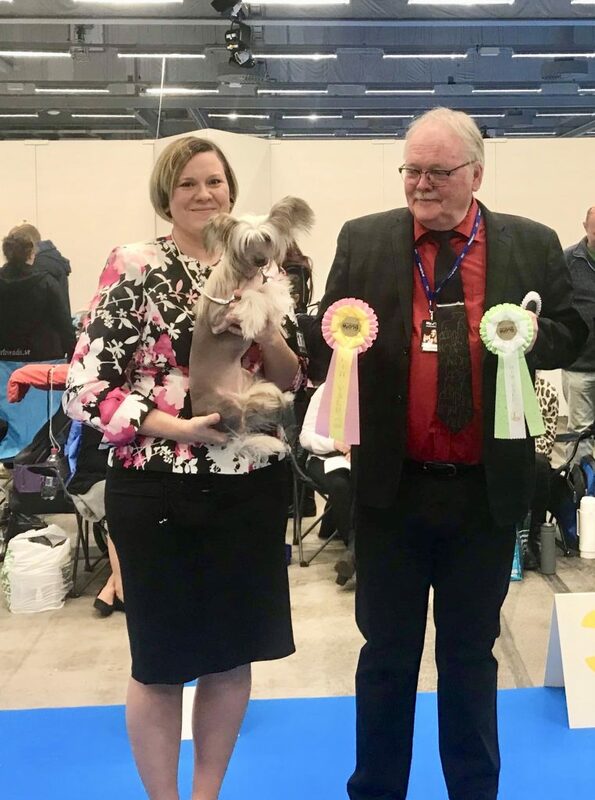 Meja (Sirocco The Spicy Gossip) was 2nd with HP (4 entered) in puppy class 6-9 months and Lola (Honorowa W Ringu Pretensja) was 2nd with CQ (12 entered) in junior class. Both girls got very nice critiques. Luna (Ravenoak Acapella) also competed in the junior class, got excellent and a very nice critique. 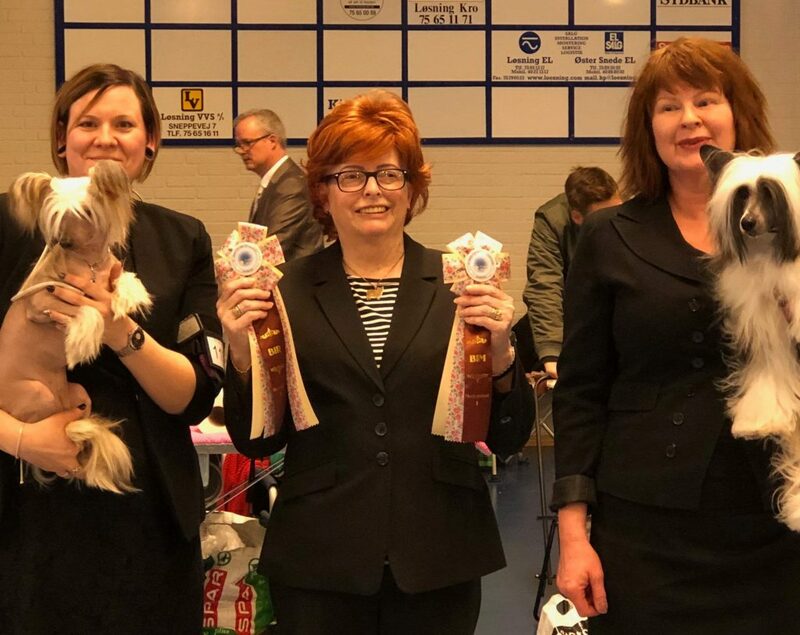 Best Puppy In Breed out of 7 (we didn’t stay for the final), Meja (Sirocco The Spicy Gossip). 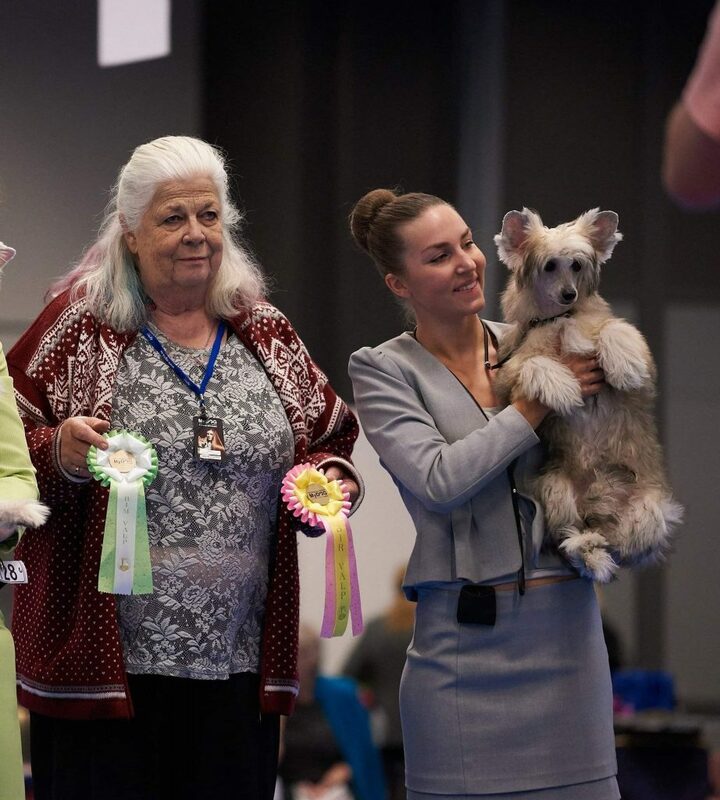 Big thanks to Elin, Meja’s breeder, who showed her so well both days at Mydog! Best Puppy In Breed out of 7 & shortlisted in the BIS-puppy final, Lola (Honorowa W Ringu Pretensja).